We want to give our kids everything – but we also want to teach them the value of a dollar. Sometimes that means saying no to your kids, and sometimes that means encouraging them to take responsibility for their own financial security. The more you can teach your kids about managing money during their early and teen years, the better off they’ll be. Help prepare them for a successful adulthood by fostering a basic understanding of budgeting, planning, earning and saving money. 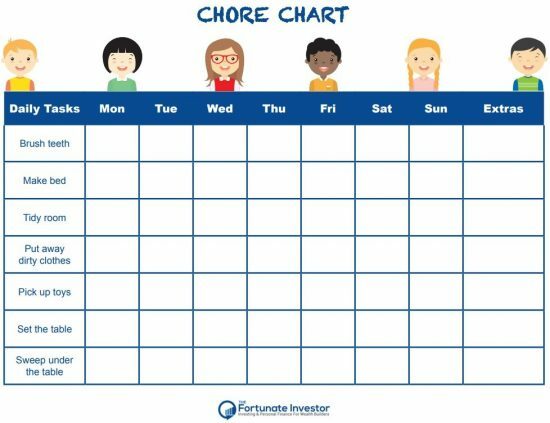 To help you get started, we’ve created free printable chore charts for kids, and some extra goodies (like an extra chore list for kids) that are specifically designed to be engaging and fun. Family Budgeting is a crucial skill that even adults can struggle with. How do you create a realistic monthly budget? What are the consequences of over-spending? When is it okay to ‘splurge’? While these are concepts that younger children don’t need to grasp, your teen aged children likely will, so it’s a helpful thing to keep in mind as you’re starting to teach them basic money management. 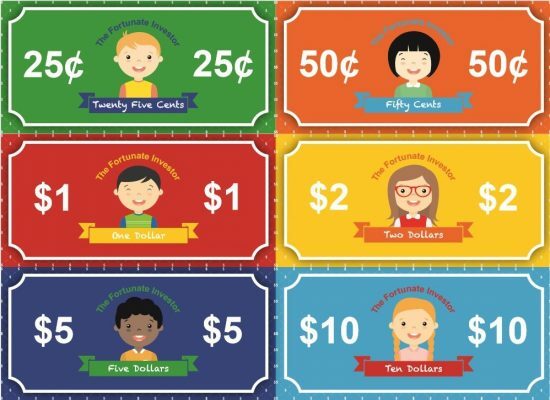 A simple way to start introducing this concept is to provide children with money – either real currency or play money – to help them make the visual connection between the concept and the physical reality. (This is also a great way to support school-aged kids with learning basic math skills like addition and subtraction.) Once they’ve made that connection, then you can introduce planning. Teaching your child the skill of planning their spending will not only impact their ability to manage money, but also supports the development of patience, and a basic understanding of value. Using a family chore chart can help keep everyone on track, so there’s never any question of who is responsible for which household tasks. For example, if there’s a new toy they’d like to have, help them to make a plan for buying it. For example, if their weekly allowance is $5, and a toy they’d like to have is $20, make a chart they can check off to let them know how far along they are to reaching their goal. This can also be a great opportunity to explain why buying another item could make the wait for what they really want even longer. Giving your child a few daily responsibilities, and using weekly chore charts to track their completion, helps them to get an early introduction to the concept of earning money. 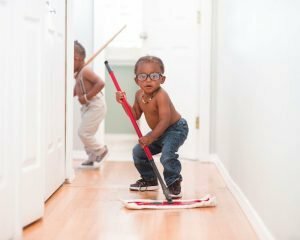 Being responsible for simple household chores will also support them as they transition into pre-school and kindergarten, where students are expected to clean up their play areas of toys and follow the teacher’s instructions. To start using chore charts with your child, choose 1-2 simple items – like making their own bed, brushing their teeth, putting dirty clothes in the hamper or picking up their room. (We’ve included a free printable chore list for kids below.) Initially, you’ll help them complete these tasks every day, and once finished, help them to put a sticker on their chore charts. As they grow and learn to complete these tasks on their own, you can slowly add new items to the chore charts. At the end of each week, review the completed chore charts with your children before giving them their weekly allowance. If, for some reason, the chore chart hasn’t been completed, consider reducing that week’s allowance and having a clear discussion with your child as to why their allowance is smaller that week. Over time, using a chore chart is a valuable, easy tool to teach responsibility and even time management. Even young children should be encouraged to save at least a part of their allowance, either in a piggy bank or a clear glass jar. For school age children, help them to find a charity they are interested in supporting, and even offer to match their donation when they’ve reached a financial goal. Writing out the donation check, and delivering it to the charity together, is a valuable lesson in generosity, caring, and community. Download the Play Money: Fortunate Investor Play Money. This is money you can print – so you don’t always have to have cash on hand for paying out allowances. 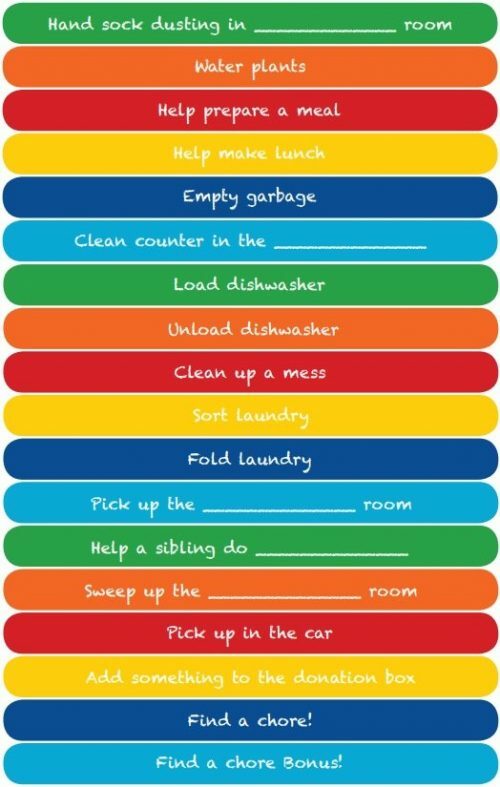 Each week, print out a new Chore Chart for your child. Let the child put stickers on their chore chart as they complete each chore. Each day, have your child choose an ‘Extra Chore’ stick to complete and write the task into the empty box. At the end of each week, review the completed chore chart with your child before giving them with their allowance. With smaller children, you’ll need to supervise their chores until they’re comfortable in the routine. For older children, discuss with your child how much the ‘Extra Chore’ will be worth before they get started. For chore sticks with a ‘blank’ on them, you or your child can choose which room to complete the chore for. Find a chore bonus: Ask your children to work together to find and complete a chore around the house. Developing healthy financial habits at a young age will set them up for greater financial stability as they grow to adulthood, and there’s really no price that can be put on that. Just remember, it’s a process so don’t get discouraged if your child initially struggles with any of these concepts. 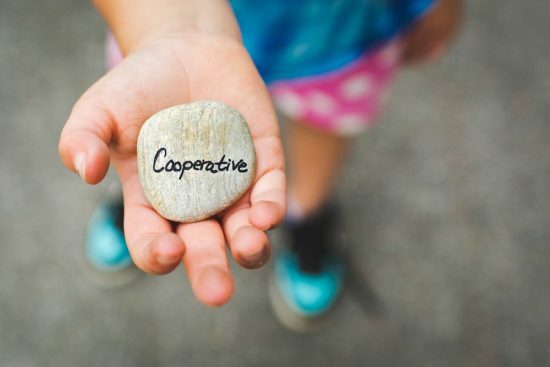 Be consistent and encouraging, and have fun using these printables to introduce these valuable concepts – and set your child off on the road to financial freedom. Do you have a family chore chart system? Share your success stories on our Facebook page. Make money fun. Here’s a recent guest article we created on 10 Easy Ways to Teach Kids About Money. **These items may also be found in your local craft or drugstore.